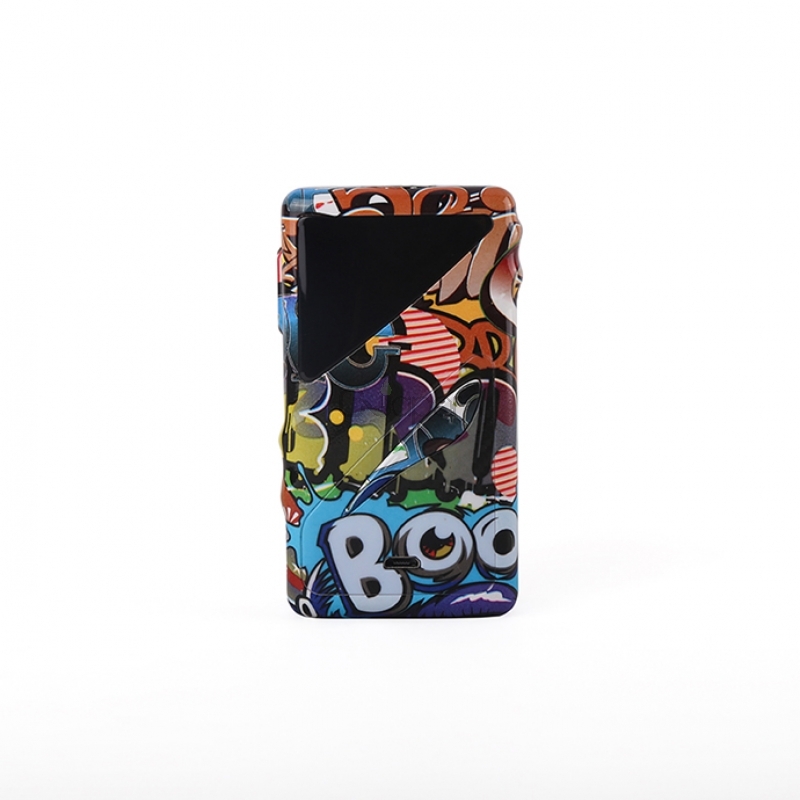 Taggerz Box Mod is specially designed for Smoant Taggerz Starter Kit. 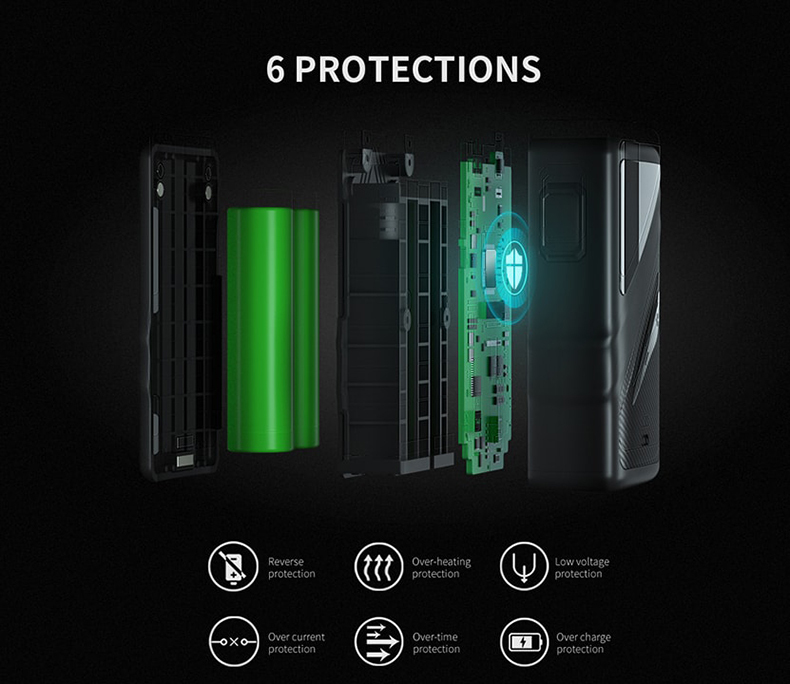 It is ultra lightweight and easy to take on the go. 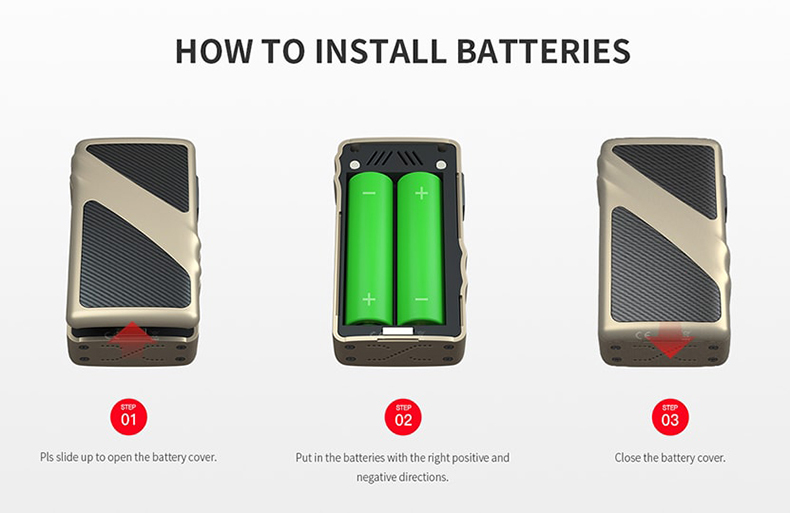 Powered by dual high-rate 18650 batteries, it can reach up to 200W max output. 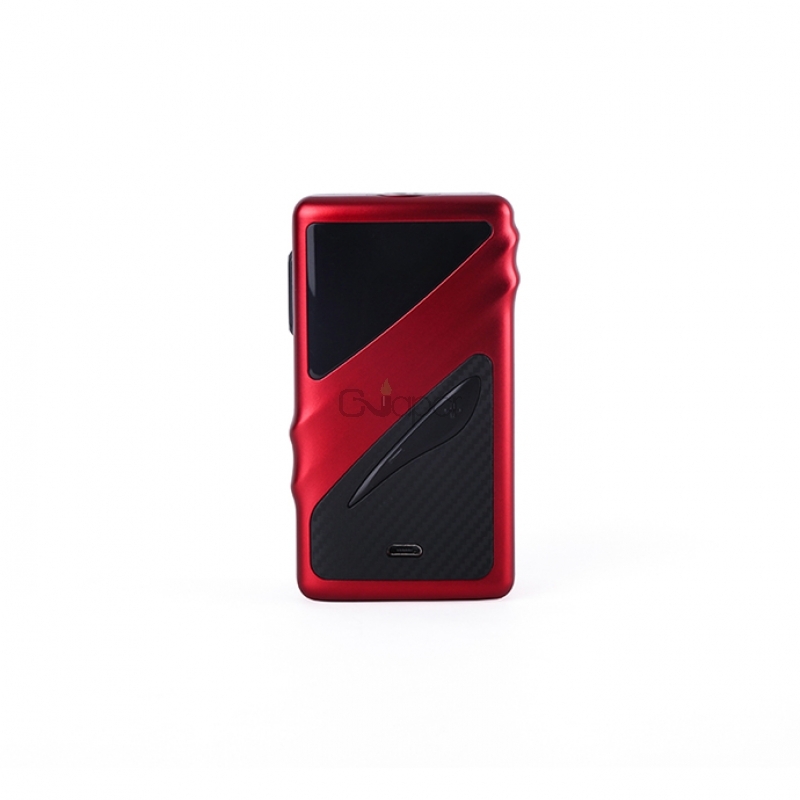 It also supports VW/DVW/Ni/Ti/SS316/TCR mode for different vaping experience. 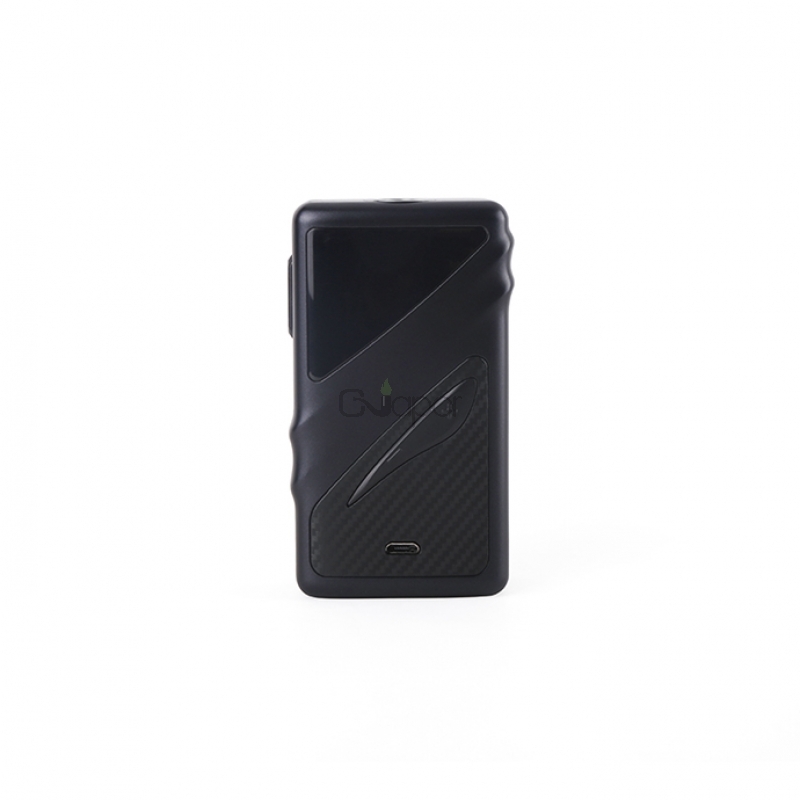 Large 0.96" OLED screen is to record daily datal clearly. 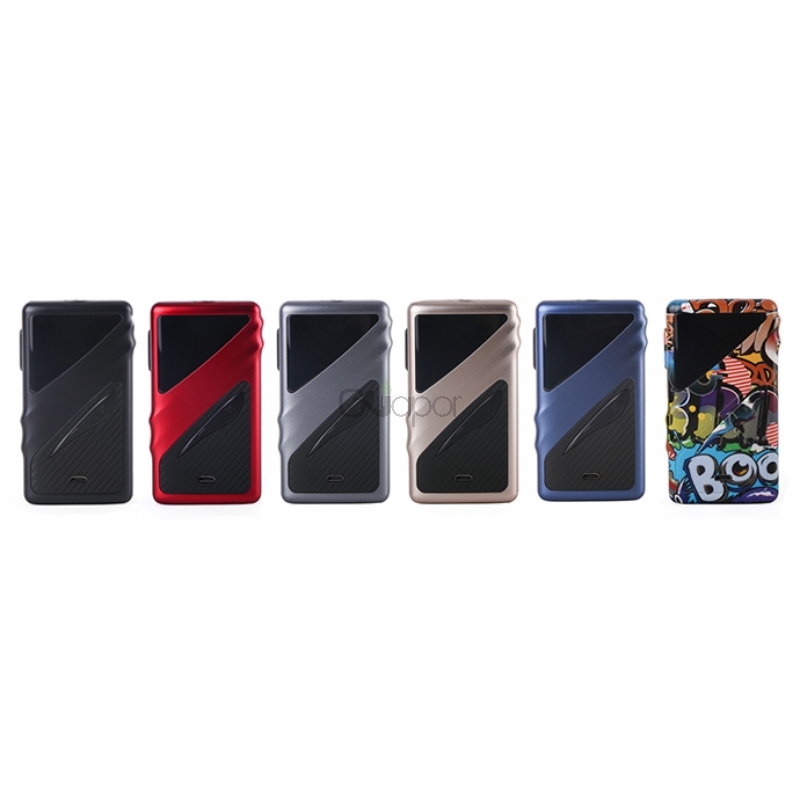 Available in Black, Rose-Gold, Grey, Red, Blue, and Graffiti. 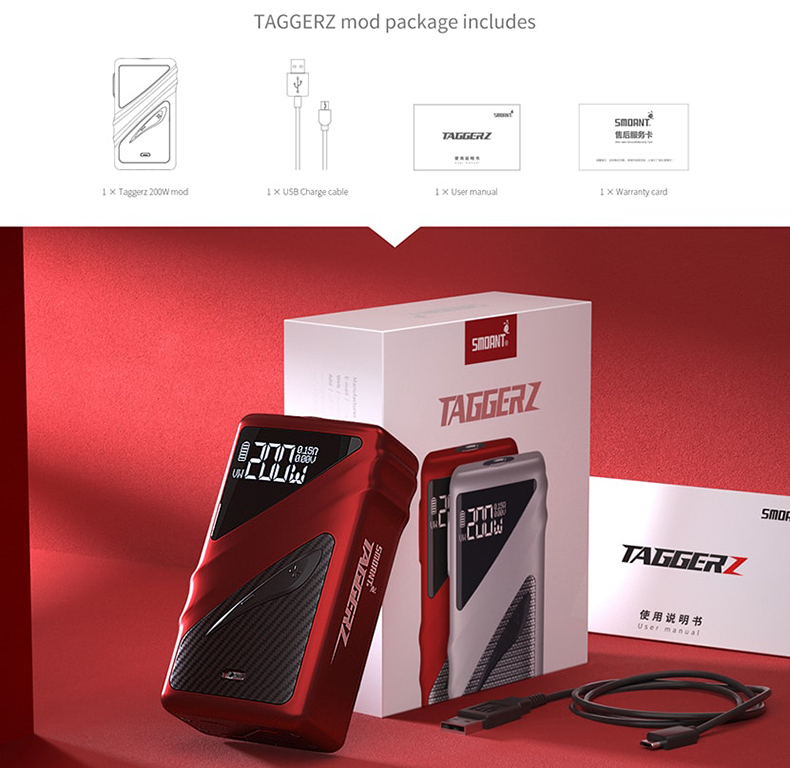 Three Months warranty period for Taggerz Box Mod.